Back in May 2012 Colin Lynes lost his British Welterweight crown to Junior Witter, in an extremely close fought battle at the Hillsborough Leisure Centre in Sheffield. 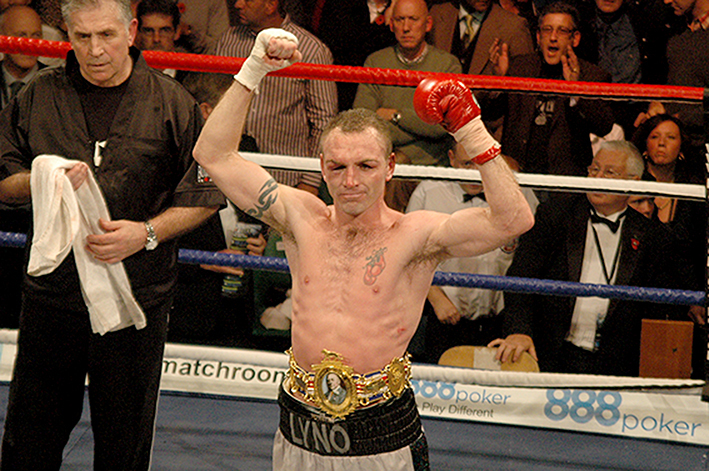 At the time many expected Colin to call time on his illustrious career, that see him win many accolades, including both the IBO Intercontinental and World Light Welterweight titles as well as both the British and European Light Welter crowns and more recently the British Welterweight title. 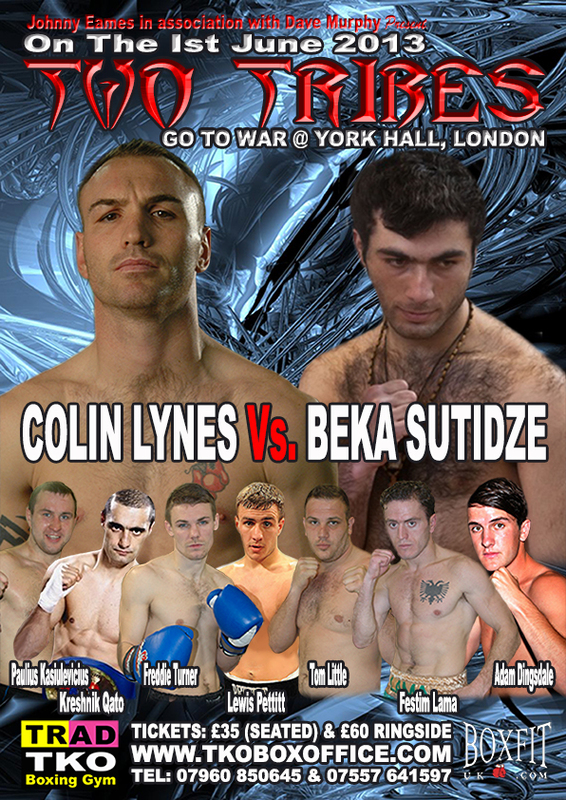 Not so, Lynes clearly has no intention of hanging up his gloves, not for now anyway, as just over a year after losing the coveted Lonsdale beltLynes returns to York Hall, where he faces Georgia’s BekaSutidze in an international non-championship battle that headlines Johnny Eames’ TKO Events promoted ‘Two Tribes Go To War’ event on Saturday 1st June. What’s more the forty six fight veteran firmly has his eyes set on returning to championship action as soon as possible, which he made clear when he spoke earlier. I’m looking to get back into title action again and carry on with my career. I’m in the shape of my life, I live well so there’s no reason I haven’t got another three or four years left. He’s young and obviously a dangerous opponent, but having had 46 fights myself I can’t be choosy and to be honest I wouldn’t want to be choosy. My job is to get in there and do the business and it’s down to the trainers to make sure that whoever the matchmakers bring that I’m ready for them. Colin Lynes versus BekaSutidzeheadlines a stellar card, crammed full of local young stars,at the Johnny Eames promoted ‘Two Tribes Go To War’ event at York Hall in Bethnal Green, London on Saturday 1st June 2013. Tickets, priced £35 (Standard Seated) and £60 (Ringside) are available on line at www.tkoboxoffice.com or in person at the TRAD TKO Boxing Gym in Canning Town or direct from Tom Little or any of the fighters taking part.